Complimentary Valet offered every evening and Saturday and Sunday from noon until close. Marta Bus 16 leaves the Marta Rail Station at Five Points in downtown Atlanta and travels up N Highland Ave passing Murphy's. 1/2 price Wine all day Monday's. Tuesday Night Wine Tastings. special Chef's Dinners, and more. See website for list of upcoming events. 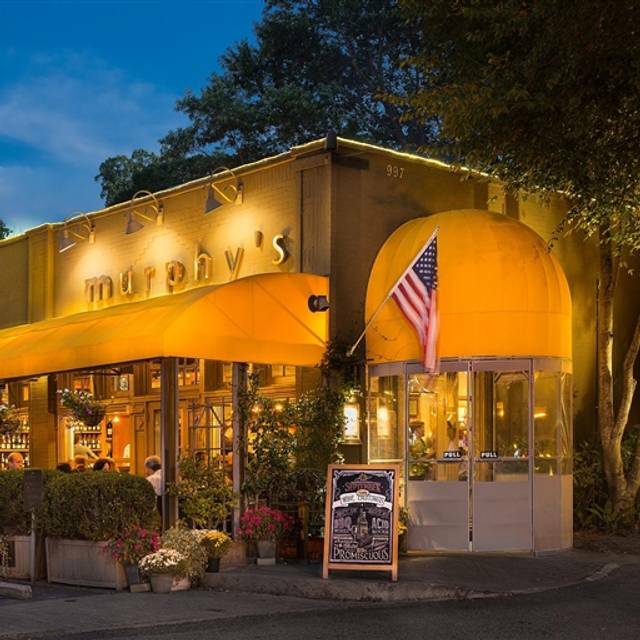 For over 39 years, Murphy's has ranked among Atlanta's best restaurants, famous for best brunch and creative lunch and dinner cuisine. Chef Andy Tran creates seasonal American menus with small plates to share, salads, and favorite entrees: Brisket, salmon, Georgia trout, roasted chicken, steaks, and flatbread. Our in-house bakery creates fresh breads and desserts. Our retail wine shop provides outstanding wines to diners by the glass or bottle at value prices, with every Tuesday wine tastings. The decor combines exposed-brick walls with French café doors to divide tables among quiet spaces ideal for conversation, either inside the cozy dining room or outside on the patio. Valet parking during peak hours. Private dining available. choice of sesame, plain or "everything"
high. I had duck confit and it was “okay” a little fatty. The grit cake it came with was fabulous. My companions had salads with fish and they enjoyed. Help with wine selection was excellent and it was 1/2 off a bottle night. Nice!! Murphy's was always my go-to for brunch when I moved to Atlanta in 2012. However, the quality of food seems to have gone down significantly over the last couple of years. I keep wanting to give it another chance, but my visit for brunch last Saturday will be my last. There are other great spots for weekend brunch now, and I would rather take my business somewhere consistently great--not somewhere where the waiter kept serving mediocre food while telling us how lucky we were to be eating brunch at Murphy's. The wine service as usual was excellent with the proper glasses and perfect temperature. I wish more restaurants would follow this example given what a good bottle of wine costs. I had the new charred goat cheese appetizer which was excellent along with scallop special. The food here just never disappoints and is one of the reason we are such loyal guests. The food was delicious. Our waiter was charming and helpful; service was perfect. Love the space - very conducive to good conversation. Overall great experience. Second visit. Had lunch. Great food, interesting menu choices. Very good service. Wish I lived closer! Another lovely meal at Murphys with friends visiting from UK. Our neighborhood favorite - always reliable brunch, lunch dinner - rain or shine! 1st time at Murphys. The cocktails were unique and beautifully done. The bartender allowed the flavors to really come through with the seasonal cocktails, I love love the Gin Jam, simply delightful. The food and service was amazing, great selection. The server even heated the butter up a bit for our bread. The absolute coldest crunchiest Cesar salad, wow it was over the top delicious. Thank you for a great night out with friends on Saturday night. Murphy's is my favorite go-to neighborhood spot. There's something for even the pickiest of eaters so everyone in a group is happy. The service is friendly and attentive and the wine selection is fantastic. But my favorite thing is the ambiance — the place feels cozy and comfortable and beautiful at once. A regular at Murphy’s and I feel like their staff is very mediocre lately. They seem put off and not happy to be there. The food selection has been poor lately too. My cousin from NYC wanted to take us out for dinner on a Monday night and we suggested Murphys. Our waitress was very attentive and the service was great. My cousin really loved the Roast duck which was the Monday special. The fish special was sea bass which was delicious and just melted in my mouth. Murphy’s remains our favorite neighborhood restaurant and never fails to impress our visitors to Atlanta. This was my second visit in one week. The overall food was delicious. The chicken soup was excellent my first visit. The second visit it was not the same. Too watery, lemony and greasy. Totally disappointed. I will try it again. Maybe the chef was different that made the soup. The trout was excellent! It was cool. We order Bellini’s and they were not so good. Over all they waitress was good and the food was decent. Great experience as always! Our server was exceptional,at taking care of us. First time I have had a Murphy's burger. I was not disappointed. Our go-to neighborhood restaurant for years. Always reliable. Not a memorable meal. The quality is not what it used to be. Really enjoyed the food & atmosphere. Ate on the patio. Great choices to pick from in the menu. I’ve always loved Murphy’s. Great location, good food, servers always keep the water and coffee cups filled, and are attentive without being intrusive. My only gripe is the “seat complete parties only” policy for brunch. I hate when other restaurants do it, and I hate it when Murphy’s does it. Even when the other person is just parking the car, you just have to stand around in the crowded foyer. Grr. Early Sunday Brunch. Good menu, well executed, except the food was barely warm. I've been to Murphy's many times. Being from Boston it had become a favorite. Our server experience was not typical of Murphy's. We seemed rushed. We ordered a bottle of wine, our waitress spilt the wine on the table a fairly good amount. She said sorry and wiped it with her rag unconcerned if it was on our clothing, fortunately it wasn't. Our appetizer wasn't completely finished before it was taken away right after they delivered the meal? Overall the food is excellent as well as the atmosphere. I will continue to return and would recommend it to friends. Murphy's has a very nice ambiance for lunch or dinner. The food is very good although they have cut back on the portions. They have a nice selection for lunch and for dinner. A nice local restaurant. Server was great, we spent a long time talking and she always checked back in and didn’t mind. Perfect evening Birthday celebration with a friend! Great service and food. Everything was amazing!!!! My fiancé had the special(steak&eggs with home fries-amazing) I had chilaquiles... soo good!! We shared pancakes which we everything!!! The drinks were awesome. Will be returning soon! My daughter and nephew (in a wheelchair) stopped there for prom night, had a wonderful experience. They were treated so nice and the food was great! Good food and time as always. Returning from a 10 year absence, Murphys was still the same - great food, wonderful atmosphere - well worth the visit. We won't wait another 10 years before returning. Another great meal at Murphy's! Weeknights are good because it is less crowded, at least earlier in the evening. 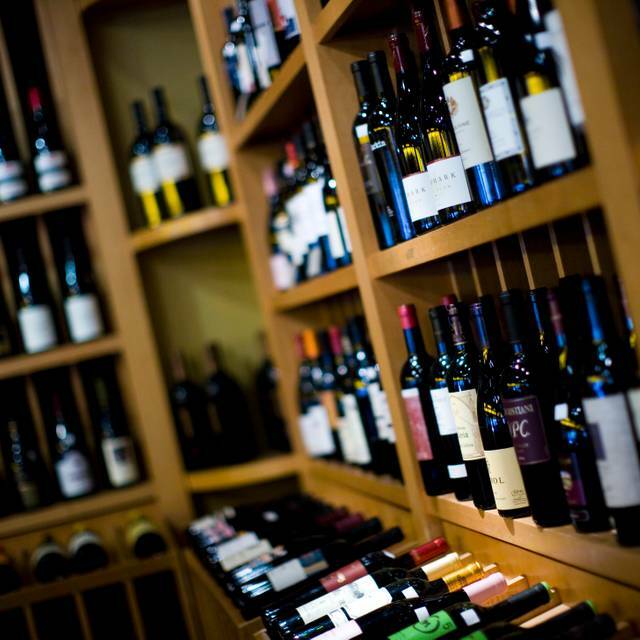 Food is delicious, service is great, atmosphere is really nice, and the wine selection is great! Exceptional experience from beginning to end!! Consistently good food with a nice mix of dishes to please everyone. A little pricey for the quantity and quality, but worth it for the occasional splurge. Oh my food was awesome. I had the fried chicken sandwich the chicken breast was so tender and full of flavor. My server Dunstan made lunch on Tuesday perfect. Should have tipped him more. Only 1 thing made me sad, no sweet tea. I am a Southern Belle living in the South. Great service, solid food & overall great experience. Same as I remember it from 25 years ago. Wonderful lunch date with my husband. The food was excellent and the service on par. We’ll definitely be back! The food, as per usual, was excellent. The Guinness Braised Beef is outstanding. We also tried the special bread pudding, the crispy brussel sprouts, and the Murphy's Old Fashioned. Loved it all. They were hosing a St. Patrick's dinner, and had a wonderful band, Ah Surely!. The music was lovely without being too loud. I would have loved to try the Lamb Stew, but they had run out. Oh well, I loved what I had! Good hearty food. Lively and a bit noisy (on St. Patrick's Day). Live Irish band. A good time was had by all. Underwhelming food and overpriced to boot. Won’t be back for awhile. Excellent food and service. Only problem, too many tables squeezed together and, consequently, noise level extremely high--to the point of being unable to talk to my dining guest. Tables should not be inches apart (talking 6").